On Stand D32, Pad 2.2, visitors will discover the latest innovations of the Group's brands, which are destined to make 2019 a landmark year in its history. 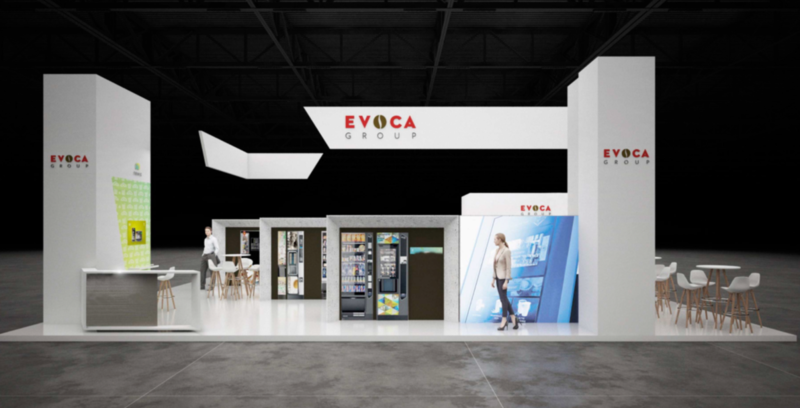 Necta will focus on vending products: there’s Maestro Touch, the brand-new hot drinks dispenser that’s bursting with advanced technological features; Orchestra, the Impulse model that - with the Visioshop tray - becomes a real automatic shop and Tango SL, the largest model in the ‘Slave' category. Saeco will present its Oasi 600 freestanding model, which has been completely re-designed as a replacement for its predecessor, Cristallo. Among the most important innovations, Ducale will unveil City 750, a new hot drinks dispenser that combines the best in technology with the brand’s patented know-how. As for the HoReCa market, join us to admire not only the Krea Prime and Kalea by Necta, but also the traditional Vetro machine, a flagship of the VISACREM brand that’s recently joined the Group. For the OCS sector, Saeco will present the Evo line, which includes Aulika Top Evo and Aulika Office Evo. SGL brings Smarty to the party, a new jewel in its range of portioned coffee machines, whilst Wittenborg will unveil the new 95. Among the services on show are the exciting digital solutions created by Newis, including the new Breasy payment app, which is destined to transform the vending purchasing experience and revolutionise payment systems. It's the future of automatic distribution and you can see it for yourself on our stand: D32 - Hall 2.2.